Lakeland South is a small affluent community of approximately 12,000 residents that enjoys proximity to major cities like Tacoma and Seattle, as well as several vibrant smaller communities including Federal Way and Auburn. To the north, Lakeland South is bordered by Lakeland North, while the city of Milton and Edgewood are located to the south. The coastal city of Federal Way is located West of Lakeland South and Algona is adjacent the eastern border. Lakeland South is near three of the five largest cities in Washington: Seattle and Bellevue are both only approximately 30 minutes away to the north, while Tacoma is about 20 minutes (or 12 miles) to the west. While Lakeland South is close to the water, 98 percent of Lakeland’s 5.4 square miles sits on land. With proximity to major cities like Seattle and Tacoma and smaller cities like Federal Way, Lakeland South has an abundance of activities nearby. Locals and visitors enjoy visiting the Pacific Bonsai Museum, the Rhododendron Species Botanical Garden, Dash Point State Park, Wild Waves Theme & Water Park, and the West Hybloes Wetlands Part in Federal Way. Emerald Downs (a horse racetrack) and the Muckleshoot Casino are just minutes away in Auburn. For shoppers, The Outlet Collection Seattle is also located in Auburn. The area is also home to numerous breweries and distilleries, including Geaux Brewing, Rail Hop’n Brewing, Half Lion Brewing, Scamp Brewing, and the Schilling Tasting Room. 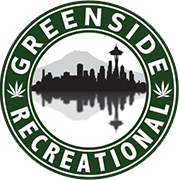 Directions to GreenSide Recreational from SEATAC Airport.